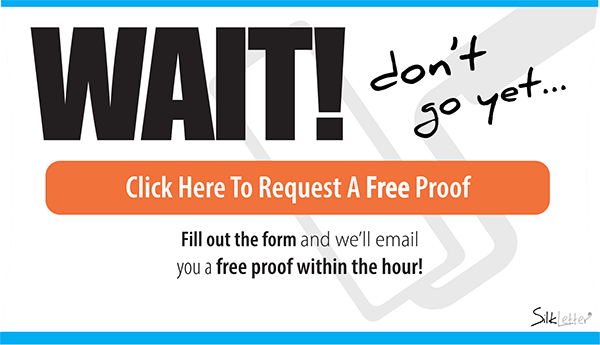 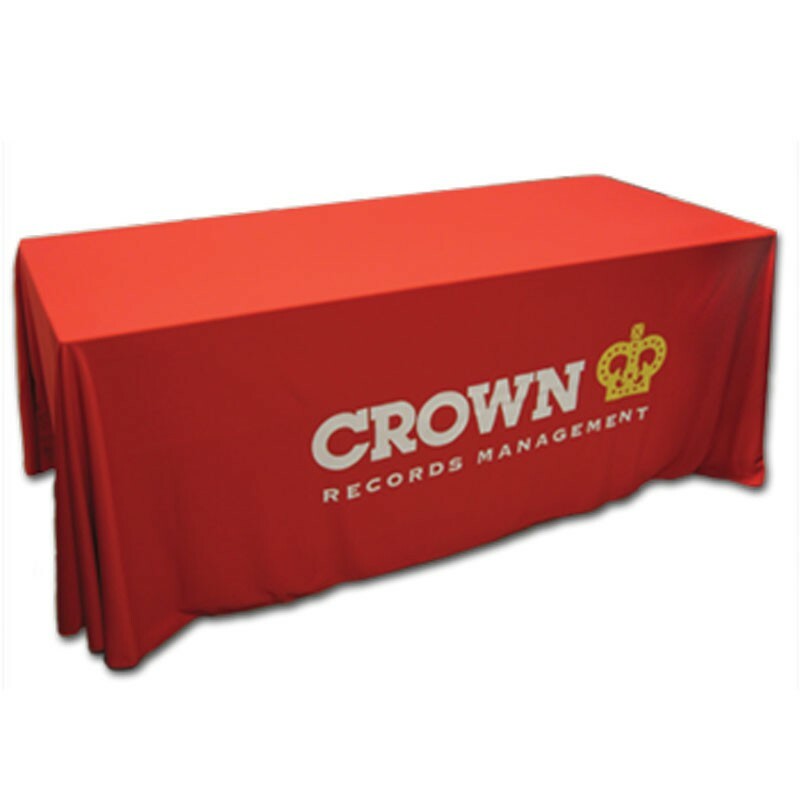 Be seen at your next tradeshow event with our most popular custom tablecloth. 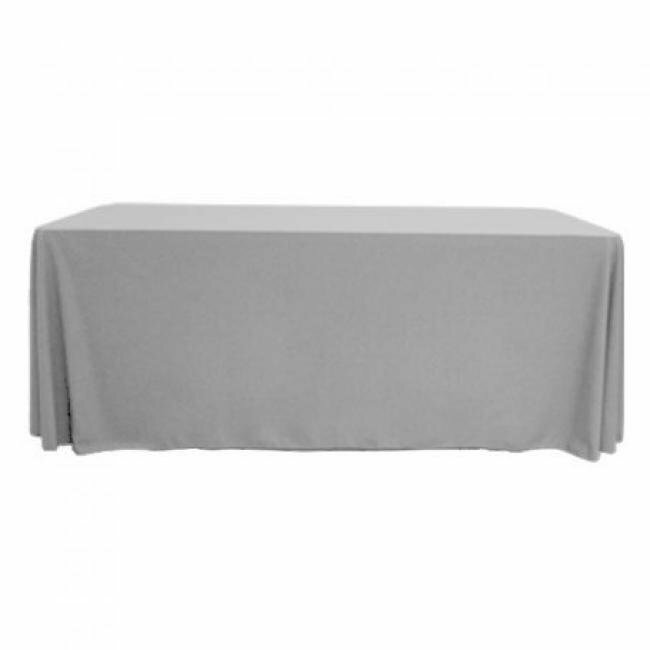 The throw style aesthetic of this table cover generously drapes over a 6 foot table on all four sides. The 100% Lacoste knit polyester is flame, stain and wrinkle resistant leaving you with nothing to worry about other than representing your company. 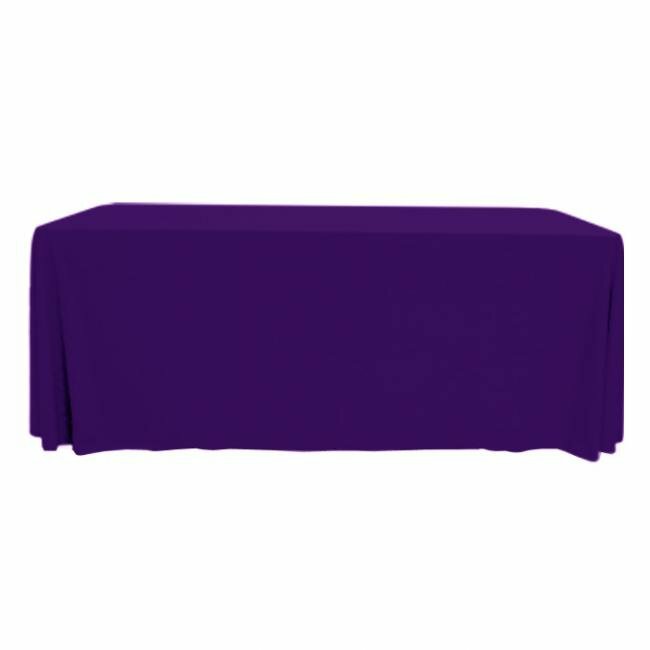 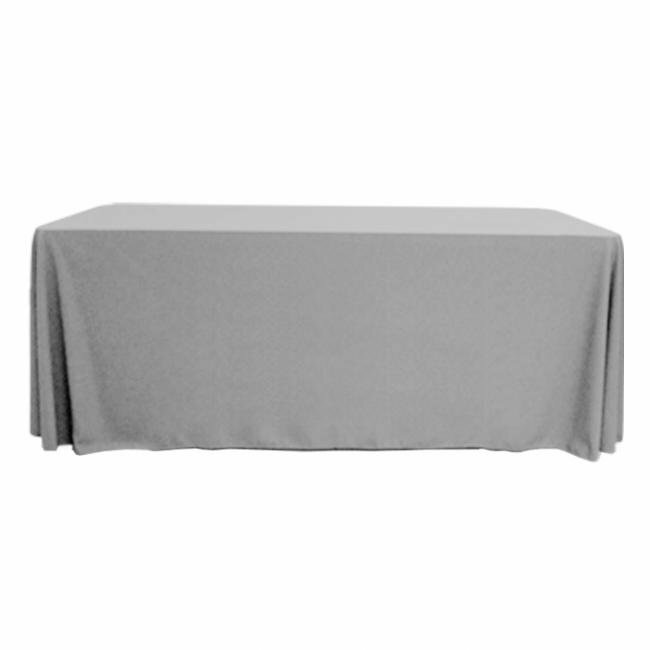 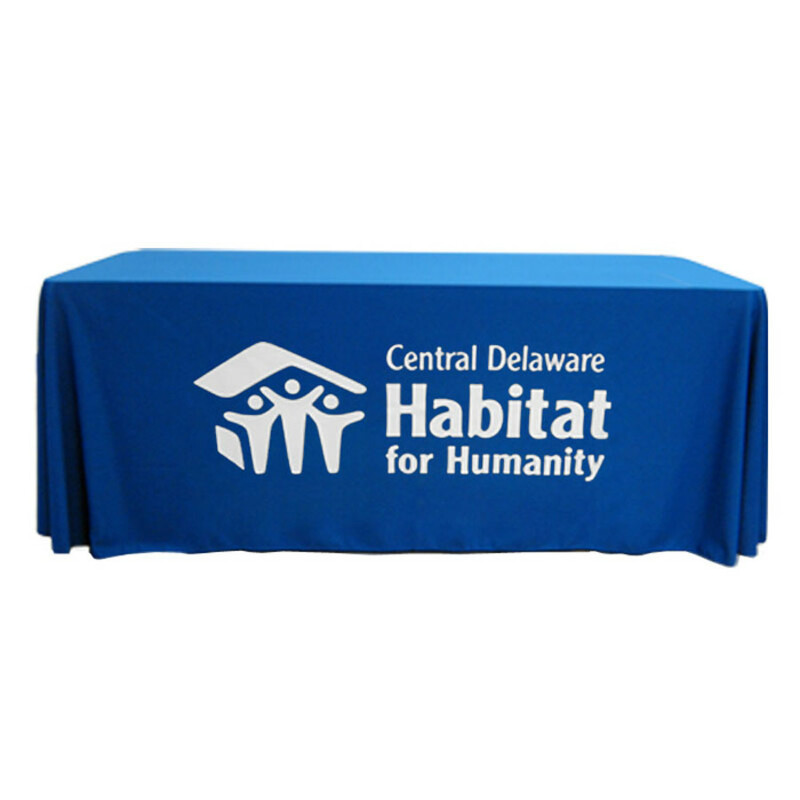 With 10+ material colors, this table cover can match any color logo and make your corporate presentation stand out. This 6' tablecloth is machine washable and dryer safe. 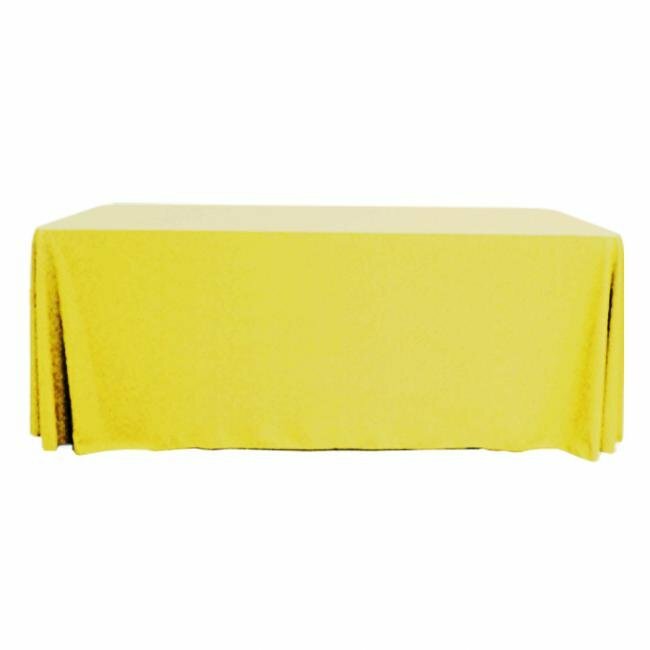 • Imprint Dimension - 65" x 19"